Managed service providers (MSPs) are in a much more advantageous spot when it comes to the selection of remote monitoring and management (RMM) platforms than they were just five years ago, when the number of vendors was far lower, and the markets hadn’t woken up to the importance of the channel like they have today. Back then, MSPs’ frustrations with closed platforms, unsupported integrations, lack of functionality, terrible user experience and direct-sales competition were at a boiling point. 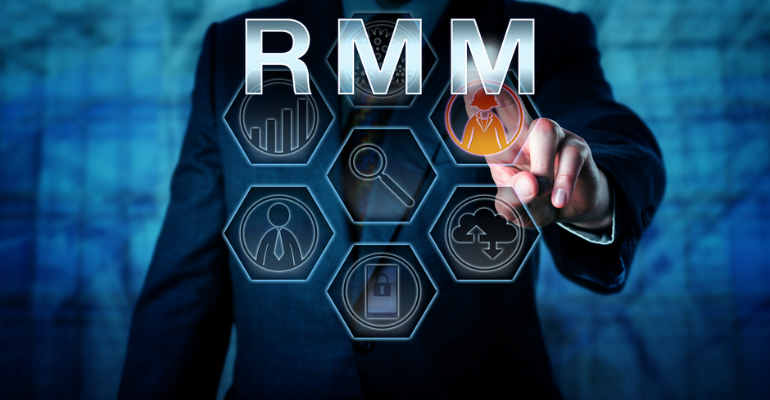 But with so few options available to them, MSPs often just settled for an RMM provider that caused them the fewest headaches. The space in 2019 is far more crowded, well-funded and advanced. As more and more entrants throw their hats in the ring, vendors are forced to up their game if they want to grow their partner bases. That’s why we see so much M&A activity going on as these providers scramble to grow beyond RMM. If you look at the development efforts of these vendors, they’re all about ease of use: user-friendly portals, open platforms, and “one-stop shopping” for all of those basic IT management needs. Kaseya is an easy example since it’s been a constant fixture in the news because of its dizzying acquisition frenzy in 2018. A couple of years ago, it was a growing RMM and professional services automation (PSA) provider. Today, it can offer BDR, compliance tools, IT documentation and Office 365 backup products, too. Kaseya calls it IT Complete and bills it as a way to make things as easy as possible for its partners. The fewer vendors you have to mess with, the more time you have to grow your business. Similarly, in 2017, backup and disaster recovery provider Datto merged with RMM provider Autotask in a deal that rocked the industry. Datto quietly on Thursday announced the global availability of Datto RMM 6.5, which it’s billing as a key part of its Datto Business Management suite of products — Datto’s version of Kaseya’s IT Complete. The takeaway from the news isn’t so much the technology itself, which is your standard RMM providing automatic updates, patch management and network-monitoring capabilities. (The big feature this release is touting is native third-party software management.) It’s that this is one more example of Datto positioning itself to persuade international MSPs to join its ranks. Datto is engaged in a huge global push to grow its international partner base. Last year saw them all over Asia Pacific, and the company tells Channel Futures that 2019 will be big for EMEA — coincidentally, a market that’s also a giant focus for rival Kaseya this year.